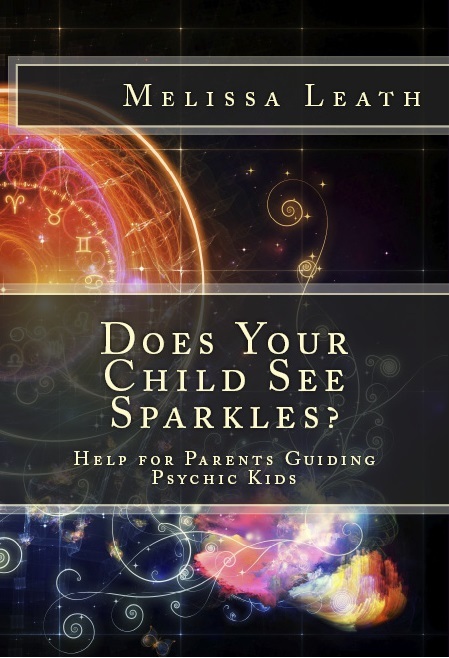 So— I begin writing this new book about children that see sparkles, about kids that are highly empathic, and families that are having paranormal experiences. Where to begin? Over the past three years or so, I have been saught-out (is saught a word?) by parents that are totally confused, afraid, worried, and do not have a clue as to what they should think or do with these psychic experiences happening in their families. Some have at least one child that sees ghosts — all the time. Some have kids that have prophetic dreams about family members and friends dying. Some have small children that keep seeing sparkley lights and try to catch them by jumping up in the air, and telling everyone about it. What in the world is going on? I’m sure you have asked yourself that more than once. You are not alone. There are many other parents (and teachers, and guardians) with children who have had some kind of paranormal experience. So — I am writing a book about it. And I am inviting you to leave your comments here on this blog to help me include things that need to be in it. Does your family have paranormal situations happening? Have you found a good way to handle it and help your child? Do you have any thoughts or experiences that should be important — maybe something that I haven’t addressed in other blog articles? Please share them in this blog comment areas below the article. When you leave the comment be sure to include your permission in using the content in the book. I will never use real names. The circumstances may even be changed to protect those involved. So many changes are happening now, and we will look at many of these things so you will be more confident in working with your child in a meaningful way. When children see ghosts, what’s a parent to do? Is my child destined to be haunted for life? Does my child need psychological help, or some kind of medications? Should I believe what my child reports even if I don’t believe in ghosts? Parents can feel all emotions from being paralyzed with fear, to being curious and supportive. If their children are scared by encounters with the spirit world, parents naturally fret about how to best help their kids through this fear. This may be a challenge since fear can be so intense that it causes the child – and sometimes the parent, too – to become physically sick from it. If, on the other hand, the child feels open and comfortably connected to the world of ghosts, parents may feel less apprehensive. Either way, parents are sure to be baffled about how to proceed. This information is put together first because people have sought me out for answers. Many of those answers I did not know at the time. So I went on a quest to find the answers. 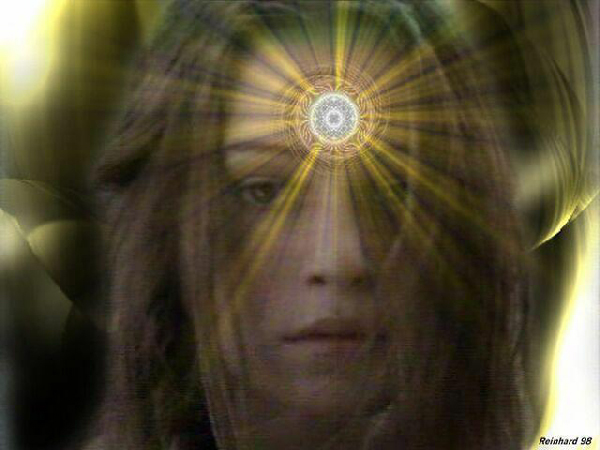 I consulted my own spirit guides and teachers for understanding to share. The book is a kind of primer for paranormal understanding. But know that as many kids as there are that have psychic experiences, each one will be different, with specific symptoms and characteristics. Each symptom or characteristic may need a specialized approach depending on the child involved. Each child is raised in a certain family, with genetic history, cultural differences, and social backgrounds. So the approach to their experiences will be different. But this book addresses generalities that will help you decide what is best for your family. These are just a few of the things that will be covered in the book. I’ll be writing more articles here to share the journey, and some of the expereinces that my clients have had. This is your book. So I want to share as much of the preparation and writing as I can. It will be an ongoing account and recording of this text. I might add, that if you are interested in such things, you can prepare for the release of this book by reading my recent book Psychic Integrity, The Respected Practice of Modern Day Mystics. Thanks! Interested in the architect Samuel Hannaford? See my website at http://www.samuelhannaford.info. Histories of College Hill, Mt. Auburn and Over-the-Rhine are also there. Thanks Betty Ann! ..lol… I was writing this so fast, I just couldn’t stop to look it up! Thanks so much Kimberley!! Yes, I have a majority of content already prepared by addressing questions, parents and children as they appeared along the way! It is a fascinating topic, and expands every minute. It forced me to realize much of my childhood, and how I experienced spirit connections and visits too. What does it mean when an adult starts seeing sparkles around the periphery (sp?) of their vision? Hi Deb~~ Being that I am not a medical doctor, I do not diagnose or prescribe. But I will tell you that I have witnessed adults — around middle age — who have experienced this. It might be something that deals with the eyes, and should be looked at. I has to do with the eyes aging and usually is no problem. But I will not say it is the same thing as kids seeing sparkles. Hi Melissa, good topic for a book! If you are looking for ideas to include, my daughter spontaneously remembered a few past lives when she was little. I missed seeing this, Mellissa. We’ve been meaning to call you to talk about raising Miss E with her raw talent(s). With both parents being talented, it’s easy to not discount what she sees and feels. The issue lately has been her anxieties with getting mixed up with stories (ogres/nasties of fairy tales) and some not-so-friendly nature spirits (but not aggressive) we’ve sensed and warned her about. With the abundance of pop culture stories about fighting evil, she’s too eager to see everything as “bad” so we’ve had to reassure her that most of the lights she seeing are guardians, “like fairy godmothers”. She’s also what my husband calls an “untrained Jedi” with being able to easily shield herself (disappear/hide) and her screams are like sonic weapons. Her emotional uspsets can interfere with her dad’s abilities. For instance: we were having some car trouble as the starter was failing and Dave could usually channel positive energy into it to get it to start (I could do it too — just not as efficiently as Dave). A time when all 3 of us were in the car, Miss E became so anxious that it couldn’t be done and we thought we’d have to walk home. I took E back into the restaurant to let the folks know we would be leaving the car, but by the time we came back out Dave had started the car and he said that with E gone he had been able to do it without her anxt disrupting him.